I love me a good juicy meat burger, but if I’m in my vegetarian mood (which I have been lately) then I’m looking for a good fix to satisfy my “burger” craving. There are a lot of pre-made vegetarian burgers in the stores, and let’s just say I don’t tend to seek them out. This time I’m turning to my kitchen and going the homemade route. Black beans are notorious in Mexican cuisine and since it’s Cinco de Mayo today, it only seems fitting to make my veggie burger out of those hearty beans. 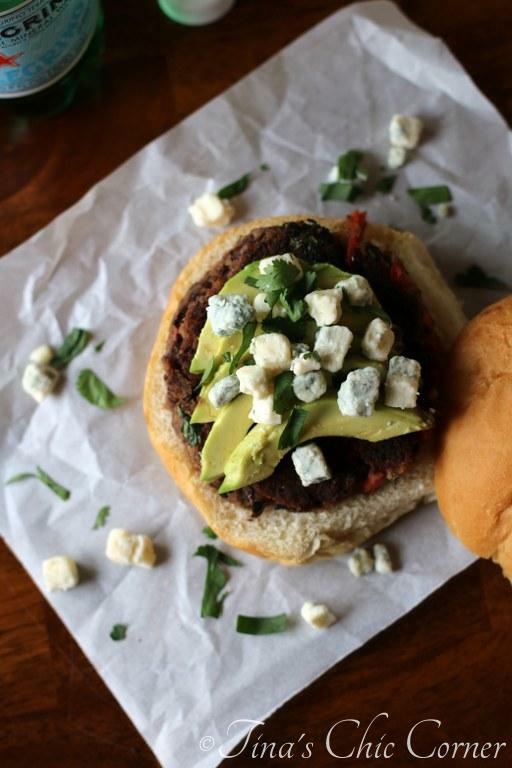 These black bean burgers are loaded with veggies and topped with avocado slices and blue cheese crumbles. Place the pieces of bread into a food processor and process them until they are coarse crumbs. In a medium bowl, whisk together the eggs, 1 tablespoon of olive oil, cumin, salt, and cayenne pepper. Set it aside. 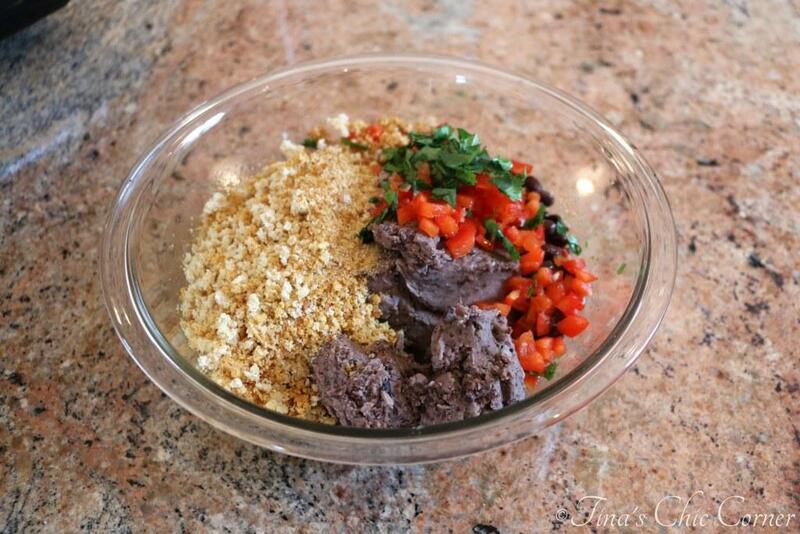 Place 2 and 1/2 cups of the black beans into a food processor and process them until they are mostly smooth. 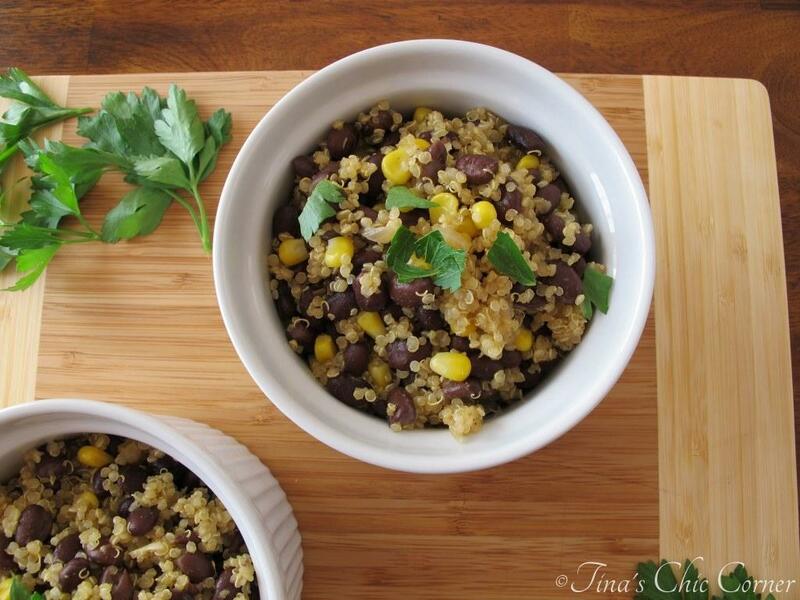 In a large bowl, mix together the bread crumbs, egg mixture, the processed black beans, the remaining whole black beans, chopped red bell pepper, minced shallot, and chopped cilantro. Form the bean mixture into 6 thick patties. I used a 1/2 cup measuring cup to portion them out and then rolled them up into balls and flattened them with the bottom of the measuring cup. Repeat the process, adding the remaining tablespoon of olive oil when needed. To build your “burger,” place the cooked black bean burger onto the bottom side of the roll. Top each black bean burger with about 1/2 of one sliced avocado. Top the avocado slices with about a tablespoon of blue cheese crumbles. Sprinkle additional chopped cilantro. Then add the top of the roll. These “burgers” come together pretty quickly. 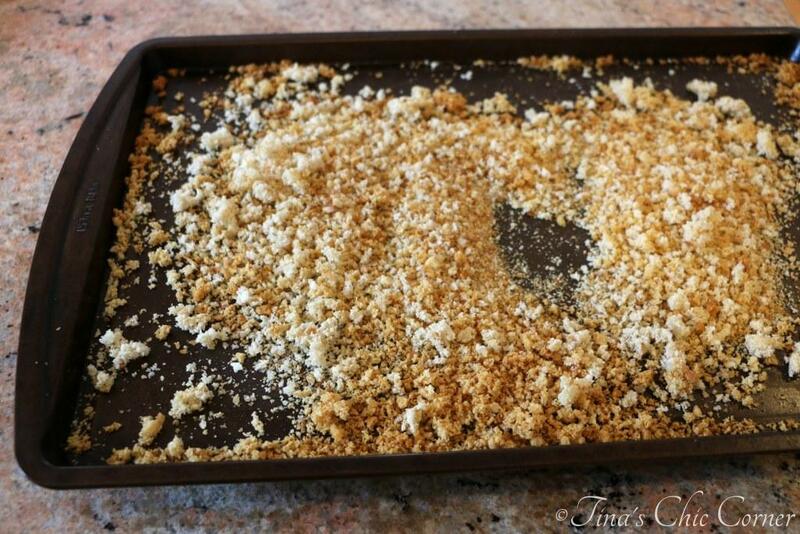 In fact, you even have time to make your own homemade bread crumbs without making them take too long to prepare. I think they add to the flavor and you can really use any kind of bread you have laying around. I recommend white breads, but it’s not required. There are a lot of bean burger recipes out there so I had a few requirements for what makes a fabulous one. 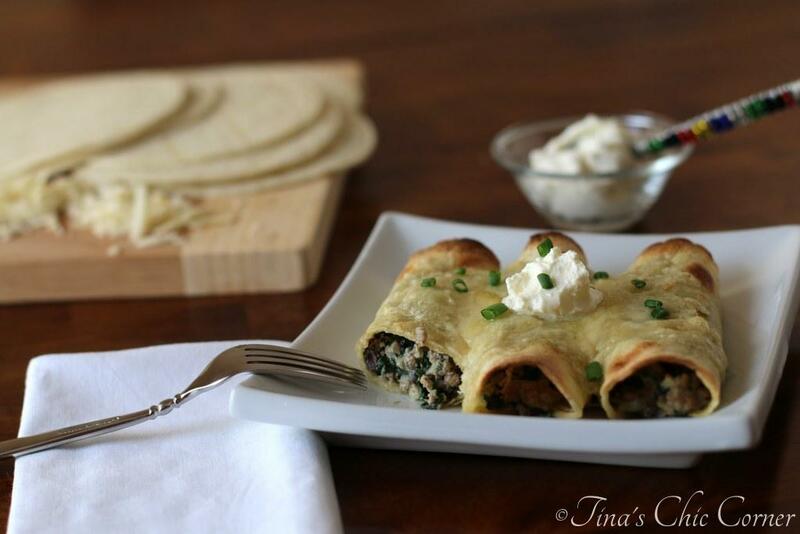 To start off with, they have to be quick (relatively) and easy to make. Check. Meat burgers can be made in minutes so I sort of have a mental block that all “burgers” should be similarly timed. There are more moving parts with bean or veggie burgers so I know I’m not going to find a 5 minute recipe (at least not a good one). I made these black bean burgers in about 30 minutes and that’ll do. Just because there is no meat does not mean that there should be no flavor. Bland food is bland food whether it’s got meat in it or not. Some people seem to think that things made out of veggies have to also be boring and it’s just not true. The spices in these bean burgers are awesome and give it a Southwestern flare. They must hold their shape. Seriously, I accept a little bit of crumble, but if they totally fall apart, well then preparing dinner is more of an exercise in frustration than in cooking. The first trick to prevent the mess is good ingredients. Having a good binder like eggs and fresh and toasty bread crumbs really help them hang together. The other “secret” is that you need to make sure to squeeze the patties together really tightly. You know, use good old fashioned physical force. I don’t mind eating a delicious veggie burger, but I don’t want to feel like I’m just eating a pile of beans and veggies. After all I’m making a burger here. I want it to be burger like. Something you can throw on a bun and enjoy like a burger. I can make a delicious bean salad some other time so that’s not the goal here. Why blue cheese? I realize it’s not very “Mexican-y.” The other night I saw a restaurateur on Diners, Drive Ins, And Dives make blue cheese guacamole. (Love that show, but it never seems like any of his finds are located near me… that’s probably a good thing though. 😉 ) I thought that sounded unique and tasty so I was inspired to try adding blue cheese on top of the avocados. If Guy Fieri loved it then I figure it is a killer combo right out of flavor town. Take it easy on how much blue cheese you lay on because it is a strong flavor. While it tastes amazingly great here, you don’t want it to overpower the sandwich. Here are some other delicious Mexican meals. 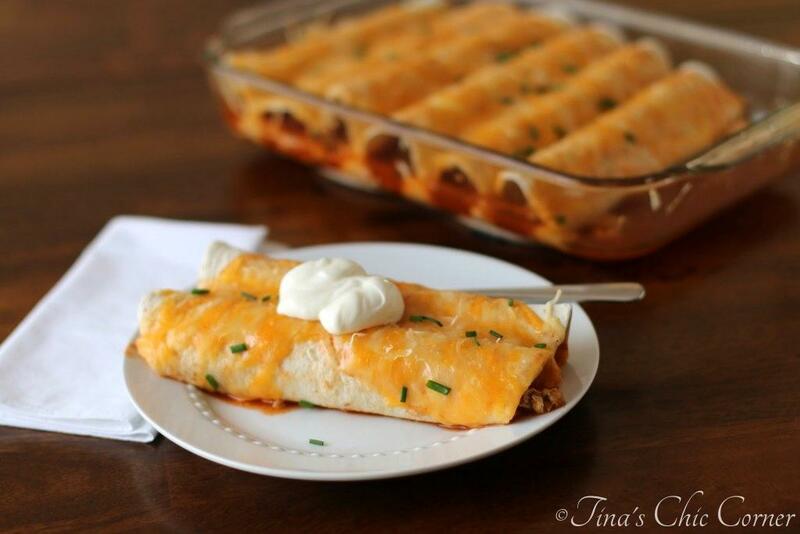 These look great, Tina! I have never tried to make a veggie burger, but I do love them so I really need to try this recipe! What a lovely looking veggie burger! And topping with avocado is always a good idea 🙂 Makes everything better! Tina, this veggies black bean burger looks delicious! I love the flavor combination too. I haven’t made a veggie burger at home, but this sounds like one I have to try! 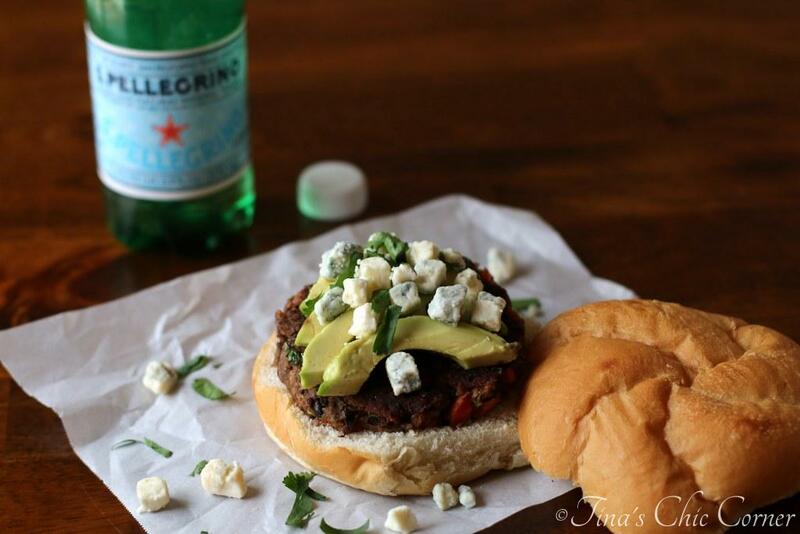 I love black bean burgers but have never made one before, your recipe looks great! BLACK BEAN BURGERS!!! I love that stuff. Homemade veggie burgers are definitely the way to go! So much more flavor and a better texture. I’m really loving the flavors in yours. Makes me want to get some on the griddle tonight! I love a good black bean burger! I’m with you though on the falling apart / crumble thing – no good if it does that! And I love that you topped this with avocado and the blue cheese – I need to try the blue cheese on top of mine next time! Hehe…fair enough…I don’t think I know many kids that like beans. In fact, I really didn’t start introducing them into my diet until a few years back because I needed the protein as a substitute for when I wasn’t in the mood for meat. These were my first attempt at veggie burgers and now I’m addicted! Awesome! Thanks. 🙂 I appreciate you stopping by!